Sue B. says Ansur saddles are a "Work Of Art"! She writes: "Carole and Don Weidner have engineered and refined the concept of Ansur's fully flexible saddles. As a senior rider I feel much gratitude to them for their dedication to this fine art. And ART is what these saddles represent as well as fine engineering. Each saddle is made with extreme dedication to the request of the rider/owner. The models are perfectly balanced for the riding discipline whether it be jumping, dressage, western. The billets are of beautiful leather, extra long and attached straight. The engineered stirrup hangers in these saddles are the best ever and hung perfectly. Having the ANSUR stamp on each flap is a classy addition. And best of all, my saddle fits me perfectly! Thank you for the honor and pleasure of owning Ansur saddles." I recently bought the Ansur Excel but haven't been riding my young horse much. I got on over the weekend and was just going to walk around ... but she wanted to trot! 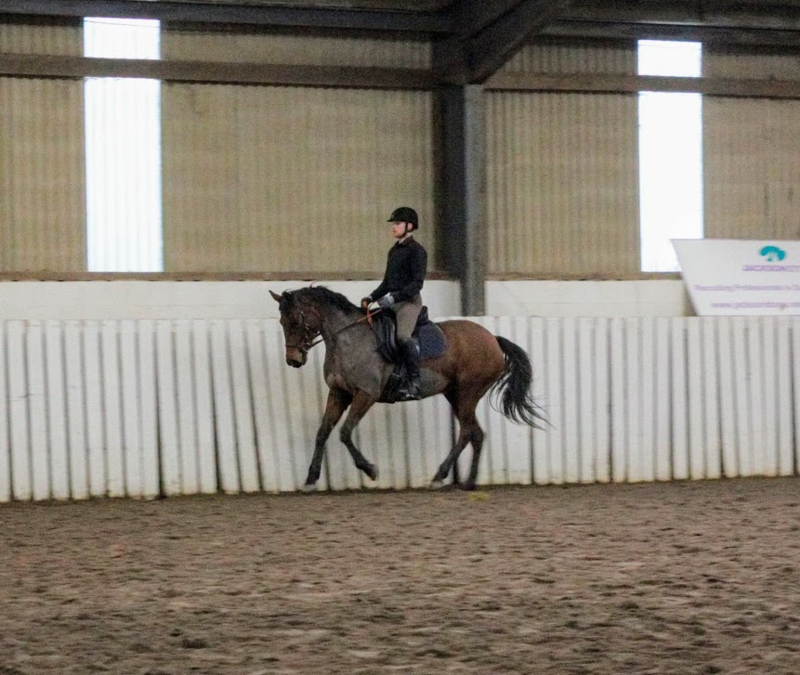 She's had over the past year off because balancing under saddle was difficult for her. With the help of balancing exercises from the ground and the Ansur, she felt better than ever! I'm absolutely thrilled and can't wait for our next ride!! 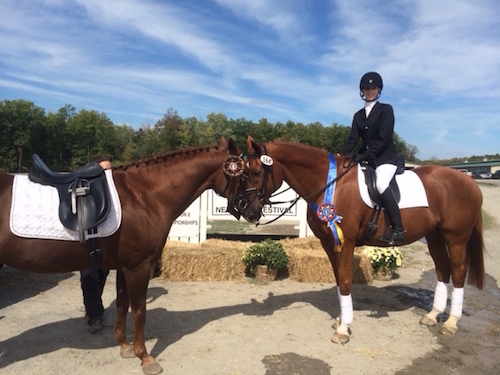 In my last competition I won High Point Morgan champion at dressage at Saratoga in the Ansur saddle on UVM Fame! My working student also won training level junior High Point champion riding in her Ansur saddle!! Thank you for my lovely Excel! I use this saddle on both of my horses and their backs have never been happier! The Ansur saddle has transformed our riding program, within a few rides, if not the first ride the rider can feel the horse's back start to relax and their whole body move more freely. In addition, the Ansur saddle allows the rider to feel the horse's movement clearly and develops a rider's seat that is quiet & in harmony with the horse's rhythm. 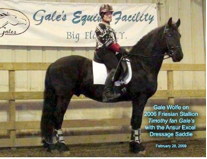 Gale W. is an Ansur Saddle distributor, dressage instructor, trainer, Friesian breeder and all-around horsewoman. Here are Gail's responses to inquiries about the Ansur Excel: Good Morning Dawn.... Thank you for writing to me. I own both a Classic and the Excel saddles so you can look at my saddles and sit in them on one of my horses. 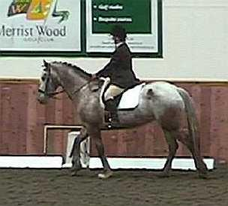 I prefer the Excel for riding higher level dressage because it sits me so well. 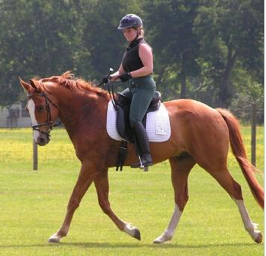 The BIG difference between the Excel and the Classic is that there is WAY more saddle with the Excel.... it looks and feels like a traditional dressage saddle and allows my frame to sit nicely across the wide back Friesians. The Classic, on the Friesians, puts me into the "chair seat" and I'm not able to correctly engage my hips and legs for higher level dressage. The Excel has a "twist".... so it sits up higher off the horse. The Classic will rest across the withers and Excel has a gullet and clears the withers. I have several horses that prefer the Classic over the Konklusion models of Ansur. But all like the Excel and the Elite. All like the Classic too.... which is kinda controversial as many saddle fitters will tell you that the saddle simply can not sit on the horse's spine. Go figure.... 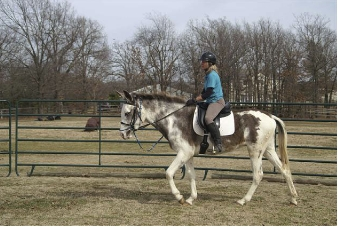 I have several horses that seem to be going just fine with the saddles on the withers with no issues. We have about 15 Ansur saddles in the barn now (many boarders have their own Ansurs), of various styles, sizes, colors..... so you can look and sit in any of them. My boarders will let us use their saddles for demonstration. However, it's a long drive to come down here to ride in a saddle for awhile. You may want to do what I did, seven years ago..... I just ordered the saddle with the mindset, that I could return it in a week if I really didn't like it. I'd be out only the shipment costs. It was worth the gamble because I loved the saddle, immediately, and have never looked back. I will never ride in anything but my Excel now. It's my saddle of choice....and I've ridden in just about EVERYTHING in my 45 years of riding. I can use the Excel on every horse that I have, from TB's to Friesians, from Saddlebreds to Quarterhorses, from pony to 16.2 handers..... same saddle.... all different horses - shapes and sizes. Let me know if you have additional questions, or would like to travel to Big Flats, NY to check out the saddles first hand. Thank you for your email. I'm glad you enjoyed watching my lesson with WAZ (Walter A. Zettl). I was riding in my Ansur Excel in that video. I could go on for HOURS about how great the Ansur saddle is for horses. My client and friend, Pam Schneider, who rides Friesians "Karolien" and "Amos" and I (who rides Beike and Tim.. and many other breeds of horses), went around and around and around to find the perfect saddle for our Friesians. 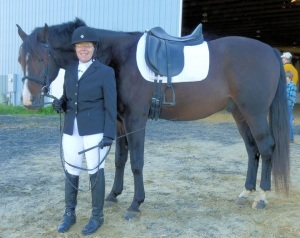 I've been riding in the Ansurs since 2002, but the older styles just didn't work for dressage on the wide body Friesians. The saddle put me into a chair seat position. It was even worse for Pam who is very petite through the hips. So, between the two of us, we've tried several types of saddles, including custom made ones (with NUMEROUS refittings) done on Albions, County, and Schleese. We also both bought and tried Bates Innova saddles. It was very frustrating that nothing seemed to work. Our horses went OK, but there was something missing. FINALLY, Ansur came out with the Excel model and HOORAY... our problems were solved. Perfect saddle for the horse, and perfect positioning for us for dressage. We both have the Excel and it's the perfect saddle for us. Just past Monday, Pam said, "I just love this saddle". Our Ansur saddles have allowed us to take our Friesians two levels higher in dressage than before. Beike who NEVER was consistent in flying lead changes is now performing four and three tempie changes for me. We hope to compete at PSG next year. 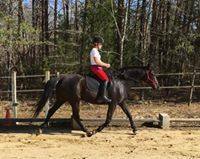 Karolien who was stubborn about doing leg yields is now doing half-passes in all three gaits. 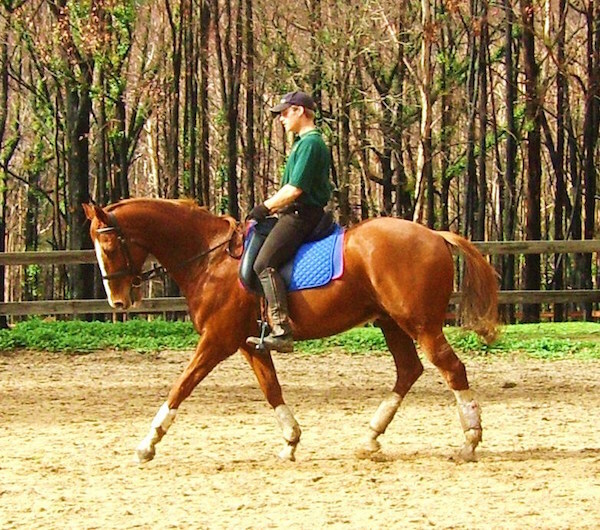 My dressage coach, Carel Eijkenaar (Dutch FEI I Judge and long time trainer of dressage horses) used to dislike the treeless saddles, because he believed that for higher levels of dressage, the old styles did not give the rider enough stability to give the subtle commands for the higher level movements. He now is very much in favor of the Ansur Excel. He is suggesting the Excel to his other clients for horses with saddle fit issues. He is very complimentary on how much Beike and Karolien have improved since we switched to the Excel saddles. The horses move MUCH better with freedom of back and shoulders. You should see my extended trot! Carel raves about how well Beike can sit down on her hocks and do canter pirouettes. He says it is amazing to see for a Friesian.....and a 17 year old one at that! We keep saying, at my barn... "It's because of the saddle." The ANSUR saddle. So. YES YES YES YES. The Ansur Excel is PERFECT for the Friesians. Four Friesians at my barn attest to it. I'll make one more comment.... the photos on the Ansur website do NOT do the saddle justice. It really looks JUST like a regular dressage saddle. I show it to people and they can not believe that it is treeless. It's a GREAT saddle. And... it fits ALL my horses, and needs no ADJUSTMENTS. I use no special pads and just plop it on any of my horses and GO! Let me know if you have any other questions. Or give me a call at 607-796-9821. Regards! I am very pleased with the Ansur. The materials and workmanship are superb. I found it very comfortable and my mare moved out well right away. I loved how close I feel to her back and how much more comfortable my leg position was. Thank for providing me with this saddle and for the excellent customer service." Dawn J. (Dawn's comments after owning the Ansur for a while: "My mare and I have been enjoying the Ansur for over a month now so I wanted to let you know that we are very pleased with its performance. Unlike the traditional saddle that I had been using, the Ansur stays put on my horse's back ---no slipping forward to impair her shoulder freedom and no lateral slippage around her round low withers. I absolutely love the feel of her back through the saddle. I find the seat to be extremely comfortable. 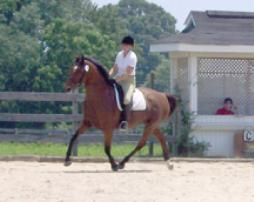 My seat and leg position became more correct and tension free almost from the first moments that I rode in the saddle. My mare is young and very green, but her balance and relaxation have improved significantly since I began riding in the Ansur. 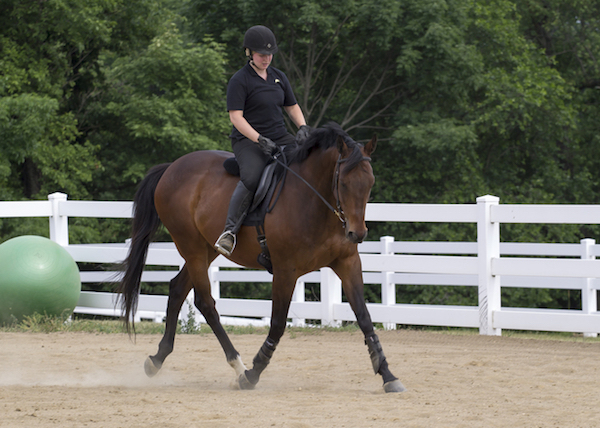 She is able to respond to lighter aids and moves with free forward strides in all three gaits. I can even see a difference in her topline already! Bravo for providing such a wonderful saddle… Thanks again for providing me with the Ansur. I hope that I never have to ride in anything else!" I just wanted to send you guys a picture of my 4 year old Paint/TB cross at his first horse show. I broke him myself with the Ansur saddle and he has absolutely no resistance in his back, not to mention he never really bucked until I started taking him to different places. The month of May was one year since I broke him, and he earned a 61.5% at a recognized show a couple of weeks ago. I have another horse that I show second level dressage who I know would not be were he is today without having the freedom of the Ansur. I am proud to own one of these saddles and am looking forward to buying another….. Thanks for all of your hard work! My saddle finally got here! Loved the packaging :) do you treat all your customers that way or are we special? (of course we are special!) I was lunging Amigo when it arrived, so I parked him and got the saddle, assembled it, put it on, lunged him briefly to confirm it fits beautifully. I just had to sit in it so I parked him again, ran to the house to don breeches and boots. I must have sent you a tracing of my derriere because it fits me great, too! And of course it is beautiful, I knew it would be. I think it is a dramatic notch up from my Carlton. No question. You guys have been a blast, I have never had so much fun spending money. Hi, I probably have a familiar story: years of treed saddles and growing frustration with going from saddle to saddle, trying to fit difficult to fit horses (warmbloods, welsh cob, friesian, and now haflingers), the endless expense and frustration of buying and selling saddles and having adjustment after adjustment by the saddle fitter, only to be told, "oh, your horse has now outgrown the tree..." I switched to treeless about a year ago, beginning with a well known Italian dressage saddle. I really wanted an Ansur, having done a ton of research and having read about how wonderful they were, but just couldn't quite justify the money at the time. Rode in the Italian saddle for awhile and my horse was happier, but I was struggling with my position as the Italian saddle is a bit awkward for the rider...kept wanting the Ansur. Finally sold my Canadian treed saddle, saved my $, got a demo of the Ansur® Excel lined up and was immediately sold. 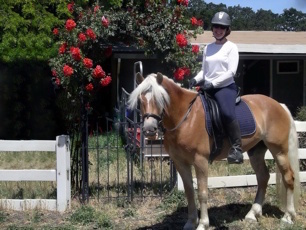 The Ansur® Excel is terrific, so easy to ride in and my horse loves it. What a difference. My horses and I have been happy ever since! Since then, I recently bought a slightly used (six months old) Ansur® Elite so that now I can also jump in an Ansur. My treed jump saddle is now for sale and my horses are joyfully completely treeless. Yay! I LOVE the Elite - so comfy, in fact, so MUCH more comfortable than my Italian adjustable tree saddle, which I formerly thought was just great. How little I knew. So...I'm now so excited about two Ansurs® that I thought, maybe I should be a distributor! Thanks, Edie D.
Hi Carol – These are pics from the championships and one summer show last year. I have to tell you – I was trying one of my horses with a few of my old saddles so that a girlfriend could ride with me and I wanted her to have a saddle that was comfortable for her – so I got on to warm him up with the each of the old saddles – and I couldn't stand more than a few minutes of each saddle – I hated them all! How spoiled I have become with my custom fit Excel! Isabel S.
Dear Carole and Don, THANK YOU, THANK YOU! 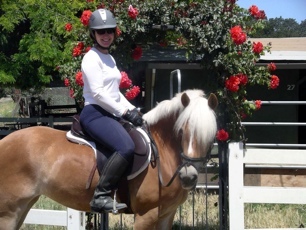 My short backed, sensitive little horse and I LOVE our Ansur® Excel! I had tried so many saddles on him and spent so much money trying to fit him that my equestrian friends thought I was losing my mind. But I knew he wasn't happy because he would do a sort of "mini-rear," popping up in front, especially during transitions. With the Excel we are both happy. I have to add that I was surprised and delighted by the security I feel in this saddle. Even though you told me I'd be fine, I was worried that this 65 year old body would not feel safe. 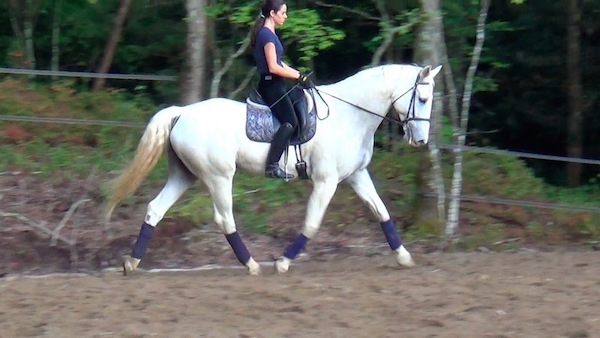 In fact, I have much better contact and leg on my horse than ever before! Now that we finally have a saddle that fits both of us, we are going smoothly forward. I even plan to show a bit this summer, as well as trail ride, and will certainly be telling everyone how much we enjoy our Ansur. Sincerely, Pat S., and my little horse, Keepsake PS Please let your saddle makers know that they have made us so very happy! Carole, I have had my Ansur® Excel for almost a year now, and I wanted to share some of my experiences with it. 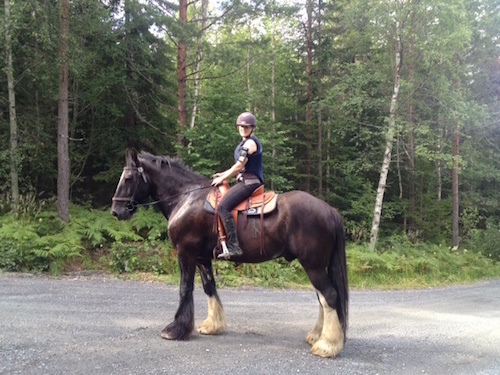 My horse is a coming 5 year old Morgan, and he has only ever been ridden in the Ansur® saddle. The reason I got an Ansur® is because I wanted to make sure that I got something that Guinness could grow with, and that wouldn’t restrict him or cause issues as he was growing. I also wanted to be mindful of my pocket book in regards to purchasing more than one saddle to properly fit him through his growth years, and not have to have the saddle fitter out every 3 months or so as he changed. For me, this saddle makes me feel like I’m glued to the horse, the fluidity is incredible. I do have good balance, but it helps to allow me to be in the right position. Through shying, bucking and all sorts of shenanigans that Guinness has pulled as we journey together through his training, I have not only stayed on, but felt like I really was just moving with him wherever his body took us. We even did a great “cow cutting” move when he shied at a shadow in the arena and literally almost dragged my feet in the dirt he got down so low! Once again, I stayed glued and felt secure. I have used the saddle on numerous other horses that I ride for others, and every time I get the same response from the horse, which is comfort and therefore compliance. Even some horses that are typically “naughty” are not naughty with me when I’m in the Ansur®! I truly LOVE this saddle; plus, it continues to grow with Guinness, so I know I won’t need to “update” my purchase at any time. Giddyup! Hi Carole,I just wanted to express my continued love for the Excel. I truly can't stand to ride in anything else, and all my students who have sat in it want one. 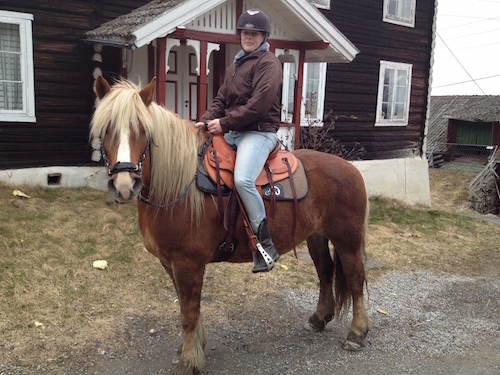 (Including the woman who had just received her brand-new custom-made treed saddle). I have never seen a saddle help so much with letting the leg hang directly underneath the rider where it belongs. Plain and simple, the saddle disappears under you so you can just think about and feel your horse. I have sent some pictures; I had to pull them out of a video clip, so the quality is poor. Nonetheless, I thought you might like to see the saddle in action on 2 very different horses. Halcyon (chestnut) is a 16.2 hand TB and Cashiro (grey) is a 17.2 hand Holsteiner. Again, many thanks for such a terrific saddle. Anne Thanks! Hi Carole, I thought you might want to post this on your website. Both horses are using the Ansur® saddle!! My 15 year old student won the jr/yr training level Championship on my DW Obligato and also placed 8th with my Morgan/QH horse, "Consider Me Colby"! !